Glass containers and eating near the Trevi Fountain are banned, too. Rome is getting stricter about when and where people can drink in public. This week, the mayor of the city banned drinking from glass containers on public streets after 10 p.m. After midnight, drinking on the street is banned entirely, regardless of the container. The sale of alcohol is forbidden after 2 am. Anyone who is caught violating the new law may face a fine of €150 (around $200). "We don't want the Roman summer evenings to be ruined by episodes linked to excessive consumption of alcohol," Mayor Virginia Riggi said in a statement. Romans – and their foreign visitors – are having trouble adjusting to the new law: According to a report from the Italian news agency The Local, 37 fines were issued on the first Saturday the ban was in place. Businesses are chafing against the law as well: They say that it limits their “freedom,” to sell alcohol when they want, to whomever they want. Unfortunately, they’ll have to get used to it, because this is one of several similar bans that have gone into effect this summer in Rome. 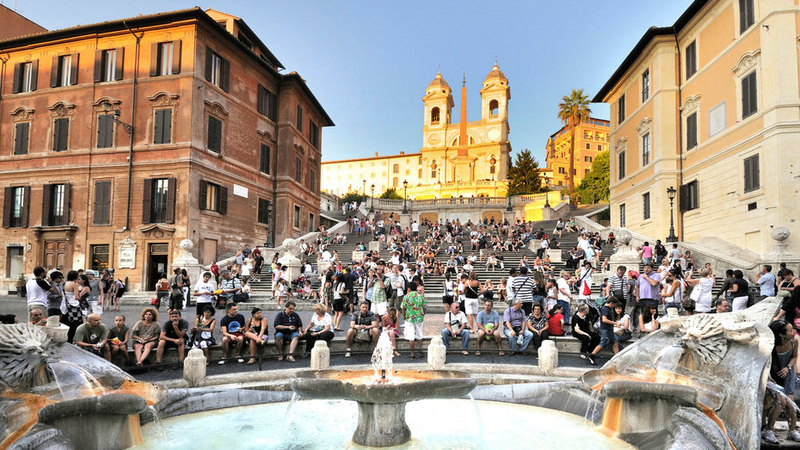 Government authorities have banned eating near and climbing or sitting on many of the city’s historic landmarks, including the Trevi fountain, a reasonable enough guideline for Rome's visitors and locals alike. In fact, you shouldn’t worry too much about the new laws restricting your vacation: You can still drink in Rome in designated areas, like bars and restaurants, just like everywhere else in world, and drinking outside is still allowed until midnight. Truthfully, it doesn’t sound like the law should be difficult to abide. You’ll still be able to enjoy Rome with respect, and a glass of wine in your hand, at least until two in the morning. By then, you should be in bed anyway. Why waste your Roman holiday on a hangover?